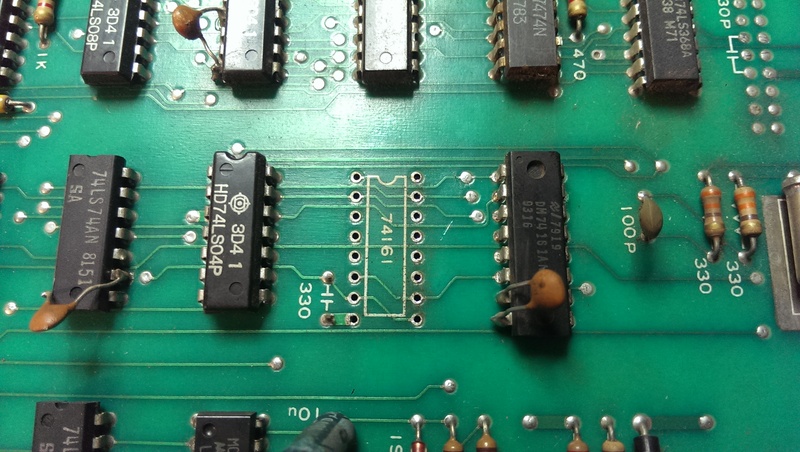 Third repair log from the batch of Juno First boards. On power up the board was completely dead. No clocks were present on the CPU or many other IC’s. As this is a bootleg board the available schematics do not fully apply and the clock circuit is normally handled by custom chips so this was a bit of a learning experience. 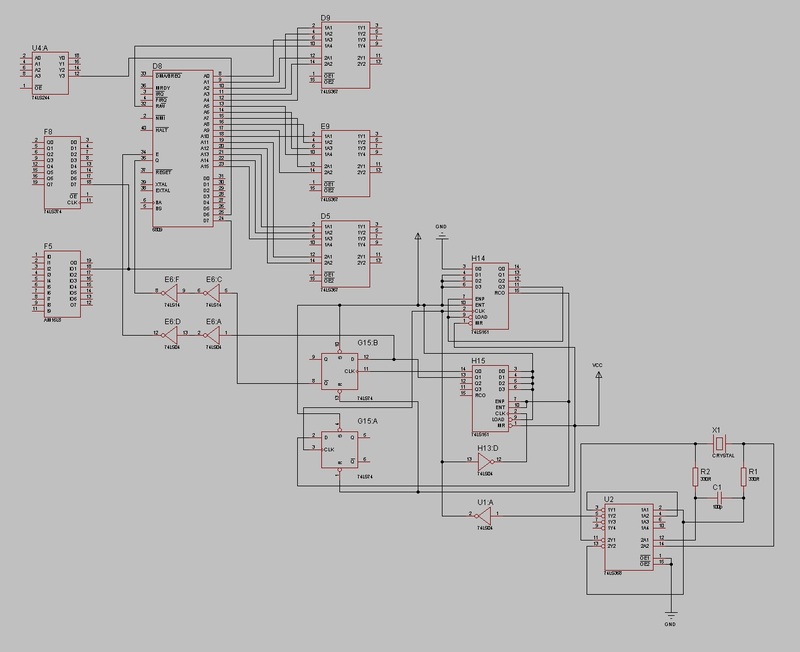 To help in dealing with this problem I started making my own schematics up. Using a logic probe I could see that the outputs of the 74LS161 @ H14 were all HIGH. As there is no clock present to this chip it should not have counted anything at this point and they should all be LOW. This meant to the board was booting up in an incorrect state and the clock circuit was never starting. 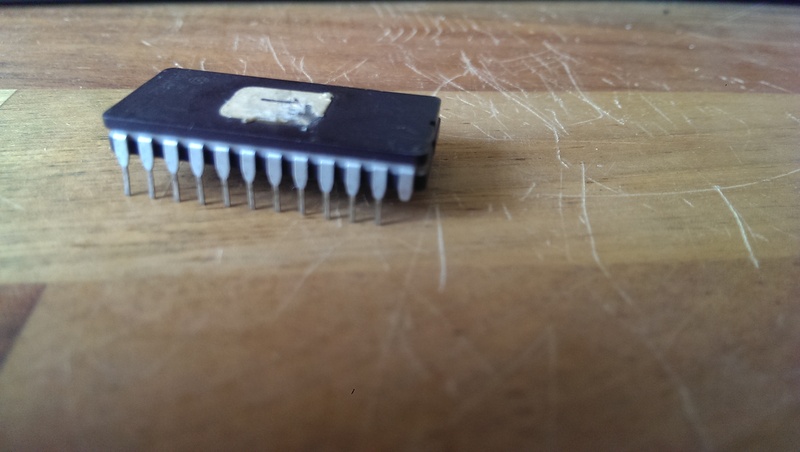 I desoldered and replaced the offending 161 chip. The clocks were now all present but I just got a static blue screen and the watchdog was constantly resetting the system. Using my in circuit Arduino tester I knew the ROMs could all be read correctly by the CPU. I also knew all the program RAMs were fine. Replacing the 6809 CPU allowed the game to boot properly. Next problem was the sound or lack of it. The VCC pin was missing. I soldered a new pin onto this and this board is fully fixed. The last bootleg board has been a major pain and at this point in time I have admitted defeat with it. I have also been harvesting parts from it to fix the others so it will be written off.